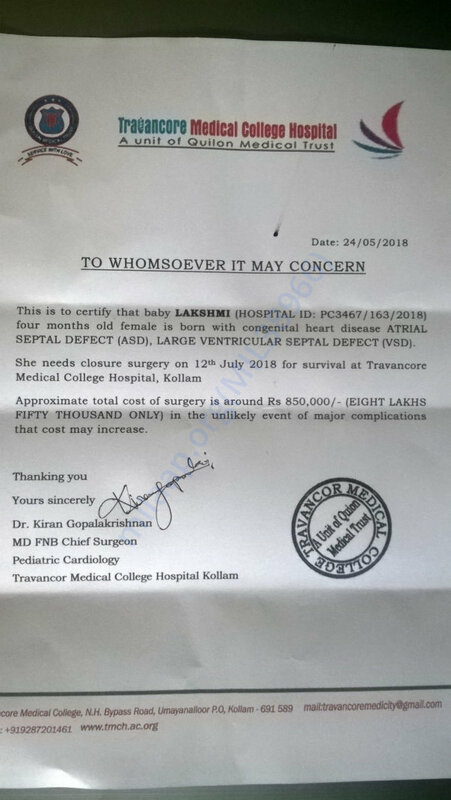 Despite the opposition of both families of SivaRajan and Radhika married for 17 years and never had any child till 4 months before and now blessed with a girl child as God's gift, before the happiness flourishing they received a medical report from doctor that their baby has a rare heart decease Atrial septal defect (ASD), Large Ventricular septal defect (VSD) which can be cured with a surgical operation in an urgent which has estimated 8.5 lacks as beyond their imagination. Being as a daily labour SivaRajan tried every effort which can be available to him at this heartbreaking situation and somehow managed to arrange 2 lacks after pledging their abode and small pieces of jewellery. 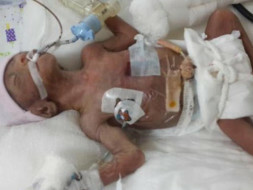 Here SivaRajan urging from this platform to all humanitarian people to contribute as much as their wish to reach this mountain amount to save his little baby to light his hope and life.